The legality of the Avenfield case: Will appealing the verdict save Nawaz Sharif and Maryam? The much talked about judgment in the Avenfield case issued by the accountability court should be celebrated for upholding accountability from the top, and promoting the rule of law in Pakistan where everyone is required to obey the laws of the country. 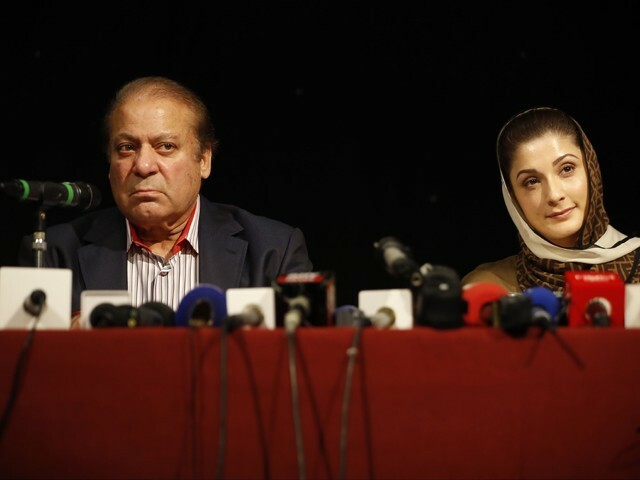 The verdict given by Justice Muhammad Bashir relates to case filed under Section 18(g) read with Section 24 of National Accountability Ordinance (NAO) 1999 against five accused, namely deposed Prime Minister Nawaz Sharif, Maryam Nawaz, Captain (retired) Muhammad Safdar, Hussain Nawaz Sharif and Hassan Nawaz Sharif. The last two accused did not appear before the court and after completion of requisite processes were declared as absconding/proclaimed offenders. The verdict sentenced Nawaz to 10 years in prison with £8 million fine, Maryam was sentenced to seven years with £2 million fine and Safdar was sentenced to a year in jail. Prosecution National Accountability Bureau (NAB) said that the Sharif family obtained the flats through illegal sources, while the counter argument presented by the counsel of Nawaz was that the four flats are in the ownership of Nawaz’s sons. Advocate Faisal Siddiqi told The Express Tribune that it is a judgment “full of contradictions”, that relies on inadmissible evidence and draws inferences about evidences based upon unproven facts. However, such claims against the judgment fail for two main reasons. What is interesting about the aforementioned judgment is that it does not mention corruption should be proven rather all that is required for a strong case to be made out is the fact that the ownership of the properties was disproportionate to the source of income of the accused. Another point to be noted from the 2011 judgment is that there was no relationship found between the assets and pecuniary resources of the person who filed the appeal and misuse of his authority as chairman and provincial minister so as to bring the charges against him home. According to the additional deputy prosecutor general of NAB, Sardar Muzaffar Abbasi, the prosecution proved that Nawaz is the actual owner of four apartments in Avenfield House, Park Lane, London, while he acquired these properties in the name of his children. Thus, it was on Nawaz and Maryam to prove their innocence, which they never did. Ultimately, the onus rests on Nawaz to prove that the ownership of the Avenfield apartments was not illegal and within the sources of his incomes. The fate of the Sharifs seems to be in troubled waters, and unless there is strong evidence against the claims levied on them, the appeal is bound to be dismissed which means that they will be sentenced according to the judgment given by NAB. The author is a corporate lawyer. She tweets @Komal1201 (twitter.com/Komal1201). Can Shahid Khaqan Abbasi #BringZulfiqarHome so he can spend his remaining few days with his family? Did the Supreme Court have the power to declare Schizophrenia a “recoverable disease”? Its over Nawaz, its over. Game over. It was apparent to all including the Nawaz team that they had lost the legal battle. Although I am not a lawyer I understand that according to NAB laws you are guilty until you prove your innocence, especially as the properties ownership was admitted to by the Sharifs……and they failed to prove their innocence. Understanding this early on ….. the Nawaz team decided to make this a political battle ….. it was a good strategy but displayed shades of desperation and it is now this phase that is being played out. Reading comprehension issues? The law is clear, the accused must prove their sources of income when a property in their possession is proved to be belonging to them. Which it was. There after the burden of proof shifts to the accused to prove the property was bought with legitimate funds. This was not done, in fact not even attempted to.